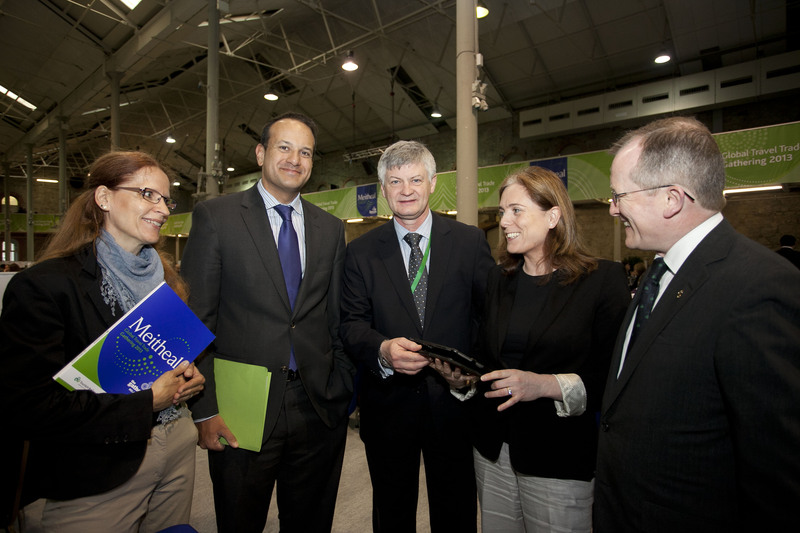 Minister Varadkar with representatives from the Castleknock Hotel, and tourism officials, at Meitheal, Ireland’s biggest tourism trade fair. Fáilte Ireland’s new annual Visitor Attitudes Survey shows that overseas visitors rate Ireland’s value for money greater than any time in the past ten years demonstrate that Ireland is the best value for money to overseas visitors for a decade. 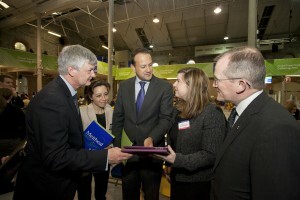 The survey was conducted with 1,578 overseas visitors to Ireland throughout 2012. Minister Varadkar with tourism trade officials at Meitheal, Ireland’s biggest tourism trade fair. 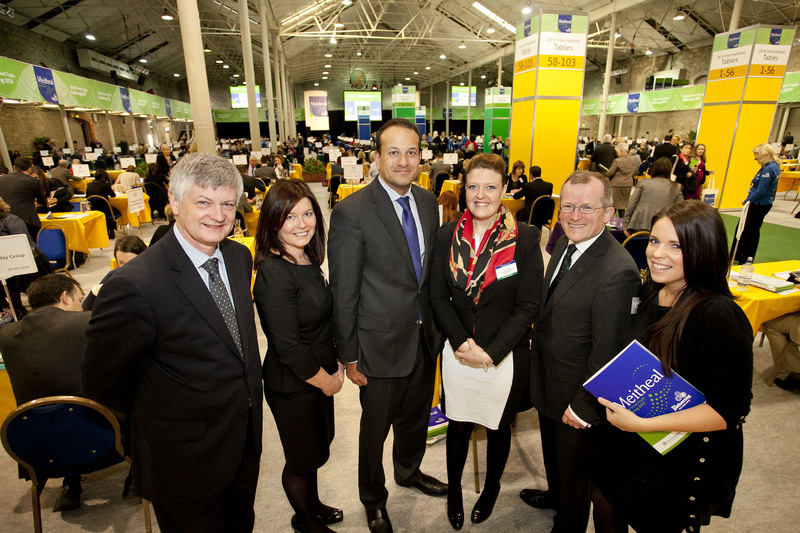 Minister Varadkar chats with tourism trade representatives. •	The internet and word of mouth are the most frequently used sources of information which influence overseas holidaymakers’ choice to visit Ireland. For further details on the above, click [here] and the full comprehensive Visitor Attitudes Survey will be published in the coming weeks. 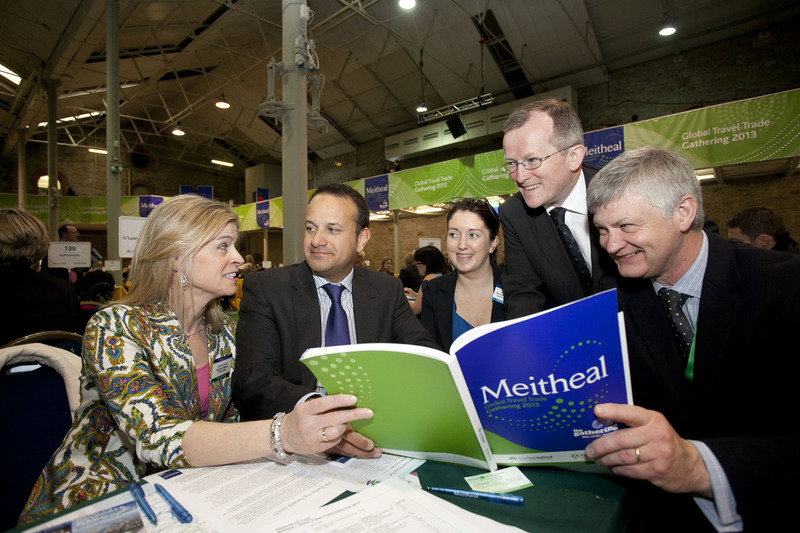 Today’s research emerges as the tourism industry gears up for this Tuesday’s (23rd April) ‘Meitheal‘, Ireland’s largest travel trade workshop in the RDS, Dublin. 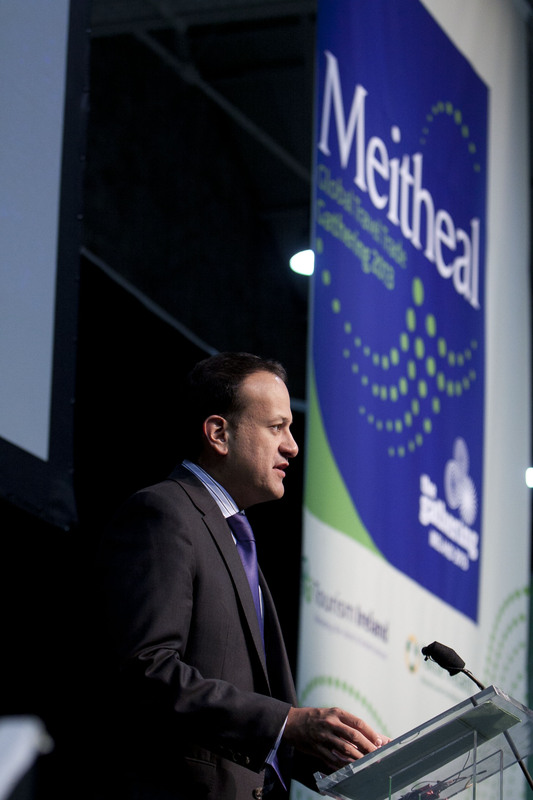 Meitheal allows over 400 Irish tourism providers the opportunity to meet directly with 300 top overseas tour operators with a view to negotiating business for 2014. Meitheal, organised by Fáilte Ireland in association with Tourism Ireland which flew in the 300 top overseas tour operators, is now in its 38th year and has evolved and grown to the extent that 18 countries will be represented at this year’s event – including Ireland’s top four markets the US, UK GB, Germany and France. Delegates are also arriving from as far afield as China, Belgium, Netherlands, Denmark, Sweden, Italy, Spain, Austria, Switzerland, Canada, Brazil, and Australia. “Although The Gathering is our big focus this year, the tourism industry is already planning for next year and beyond. It will be important that we maintain the momentum of the Gathering, continue to provide value and quality and manage to roll out new and exciting propositions to attract more guests to our shores. 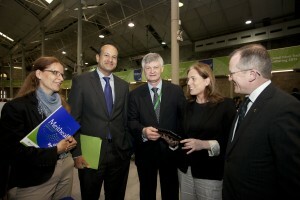 The deals struck this week will be an integral part of tourism’s recovery and growth”. Minister Varadkar with tourism and trade officials at Meitheal. Akin to ‘speed-dating’, the Meitheal format is based on a pre-arranged appointment system, with each supplier having approximately 65 ten minute appointments over the two days (23-24th April) with the appointments based on both suppliers and operators’ specific requests. Overall, almost 15,800 scheduled appointments will take place between the Irish trade and tourism representatives from across the globe. In addition, Fáilte Ireland has organised a number of fact-finding tours around Ireland for overseas operators taking part in Meitheal this year, providing them a unique opportunity to sample the sights and sounds that Ireland has to offer their customers.